Particularly in today’s world where electronic devices have taken the place of many of the activities people enjoyed in the past, it’s important for children to learn how to control the impact of technology on their lives. They need to learn that it is nothing more than a tool to be used rather than something to replace other people in their lives. Many innovations aimed at improving classroom technology have appeared in recent years, with more to come. What is the role of technology in early childhood education, and how can you foster the right attitude towards it? Preschool teachers are stereotyped as being low tech and high touch. The consensus seems to be that teachers are not technologically literate, even though most new teachers grew up in a tech-centric world. Instead, such people are seen as primarily nurturing with a hands-on approach to teaching small children. While it’s true that those who work with children have a tendency towards tender loving care, it doesn’t negate the ability to use technological tools to accelerate learning. New methods of learning and teaching as well as new information about how the brain works continue to advance. Technology quickly brings those methods to the classroom where they can be tested and adjusted as needed for each student and curriculum. 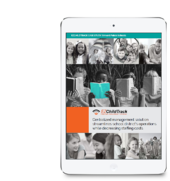 Unlike traditional classroom tools that may be outmoded but too expensive to replace, technological tools can instantly update with new data and applications to make learning easier and more fun. Teaching Strategies, an advocacy group for the early education community, asked over 800 early childhood educators about their use of technology in the classroom. 90% of early childhood teachers have access to technology, using it regularly in their lessons. 88% of respondents report using technical tools at least once a week. A majority of teachers integrated technological devices into lessons using tablets, desktop computers, and interactive whiteboards. Over 50% of teachers have already integrated computers, while 45% have integrated interactive whiteboards into the classroom. Consider how many technical tools you have used in the past week. You have probably used your mobile phone every day as well as a personal computer or tablet. You use email, text, and instant messaging frequently throughout the day. Nearly all of the pictures taken in the classroom are taken with a digital camera, either a stand-alone or one embedded in a smartphone. Interactive websites, enrichment applications and educational video sites are widely available for most platforms and operating systems. If a television is in the classroom, it is highly likely to be a flat screen hooked to satellite or high-speed digital cable. Technology is everywhere to the point where we don't really see it anymore. The United States Department of Education developed a list of four guiding principles for using technology in the classroom. Guiding Principle #1 - Appropriately used technology can be a tool for learning. Guiding Principle #2 - Technology should be used to increase access to learning opportunities for all children. Guiding Principle #3 - Technology may be used to strengthen relationships among parents, families, early educators, and young children. Guiding Principle #4 - Technology is more effective for learning when adults and peers interact or co-view with young children. The Office of Education Technology recognizes the ubiquity of technology in all our lives. Rather than place arbitrary limits on its use in education, the Department of Education merely provides broad guidelines that fit a majority of situations. Today most of the curriculum used in preschools, daycare facilities, and kindergartens is delivered in one way or another by technology. Online games and software help children learn and practice new skills needed for future learning. Many are capable of adapting to the level of individual children, providing lessons that are challenging but not overly difficult. Computer software exists to teach every subject from letters and reading to numbers and mathematical concepts. Sound recognition, classification, and cultural lessons are available to assist young children with speaking, listening, and critical thinking. Feedback is instant, so the child learns quickly from mistakes. Because they will need to do so in their later years, young children also need to learn how to operate a computer and navigate the internet. It’s never too early to teach research skills like how to recognize authoritative resources and locate information. Learning to browse, search, and navigate online improves a child’s social, motor, and cognitive skills, just as reading, writing, and playing games do. We’ve already mentioned a few of the benefits of technology in early childhood education. It is quickly and easily updated with new information and children learn early in their lives about using electronic devices. It’s up to parents and teachers to show them how to be safe and effective technology users. Children are used to technology use in the home and are quickly engaged using familiar tools during lessons. Teachers have the flexibility to plan lessons that speak to their classroom, rather than a one-size-fits-all approach. The internet provides an endless array of resources to enhance instruction and provide each learner with information specially designed for them to absorb. Technology can also help teachers plan lessons, bookmark helpful sites, monitor attendance and track performance. Computer-based assessments that provide feedback in real time allow teachers and facilitators to change their approach, teach a lesson another way, or review materials in ways that make sense to the child. Clearly, technology is in the classroom already with more to come. Teachers must continue to learn how to leverage it to provide a positive learning experience without taking the human element out of the equation. There’s no reason early childhood education cannot be high touch and high tech. The need for computer literacy for teachers and children remains strong now and into the future. Harnessing the technology to support but not take over a child’s life is an important balancing act worth learning.